Earlier this month, Google announced that the new Google Pay brand would combine both Android Pay and Google Wallet. Well, the branding is starting to make its way to Android devices, but we aren’t entirely sure how long it’s been there. 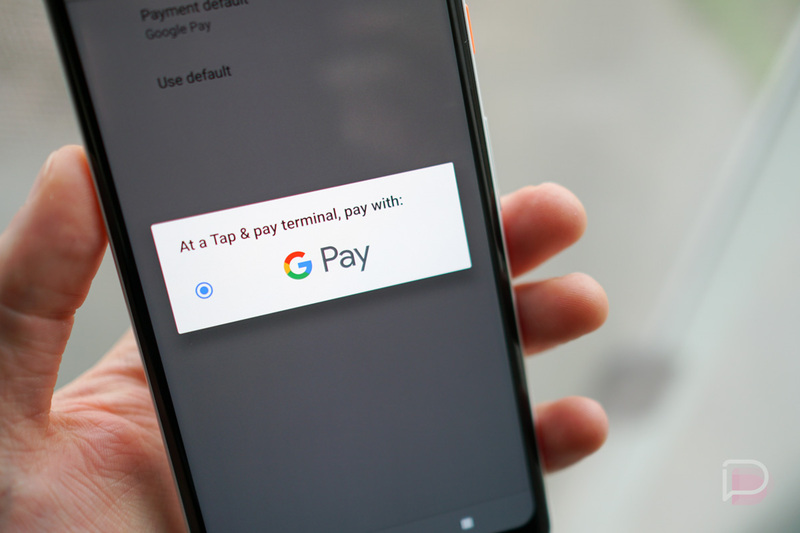 On both of our Pixel 2 XL phones in the office and on at least one of our reader’s Moto X Pure, inside of the Tap & Pay settings menu where you select which default service is used when conducting NFC payments, there’s a large Google Pay logo. When Google Pay was announced, Google never specifically detailed how the rollout would occur. Would the Android Pay app remain and receive a rebrand? Would a new Google Pay app take its place? We still have no idea because Google hasn’t made any of the details known, but at least something is happening. To see if your Pixel or other Android phone is showing the new Google Pay option, go into your Settings, locate the Default Apps menu (you can just use the search function), then click “Tap & pay.” Under Payment default you should see the G Pay logo. Are you seeing the G Pay option? If so, what phone are you using? Poll: Does Your Phone Have Oreo Yet?